Let's now discuss how DocumentDB fits into the larger Azure Cloud ecosystem and the types of integrations that exist between DocDB and various Azure services. Microsoft Power BI is a customizable data visualization solution that integrates with a wide variety of cloud and on-premises data sources. Power BI has native support for integrating with DocumentDB, enabling you to shape and transform JSON data and quickly build charts, graphs and reports to share with other Power BI users. Azure Data Factory is a data ingestion, transformation and movement service in the cloud. Data Factory has native support for DocumentDB, as both a source or sink of data in any defined processing pipeline. Azure Stream Analytics is a real-time stream processing and analytics service. It's typically used in high-scale application scenarios, like, for example, IoT data ingestion. Steam Analytics supports Azure DocumentDB as an output destination for streamed, transformed and aggregated event data. Azure Logic Apps is a workflow application service built on top of the Azure App Service infrastructure. It supports a declarative definition of business and operational logic and can stitch together data from dozens of public online services and internal Azure services, including DocumentDB. Azure Search is a managed cloud-scale search service for building fast indexes across multiple, disparate data sources, including JSON documents stored in Azure DocumentDB. 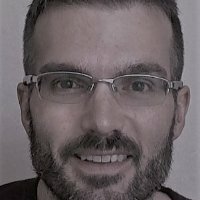 Finally, Azure Functions are a server-less cloud compute service for authoring and executing code, written in C#, Node.js, F# and other languages, directly in the browser. Functions can be triggered on-demand, or from several possible automated sources, like timers, HTTP requests, slack messages or more. Parameter bindings can also be used to directly integrate function inputs and outputs with Azure data like queue messages, binary blob data, and DocumentDB JSON documents.